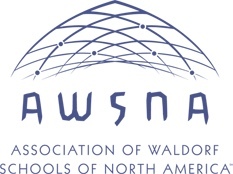 Tucson Waldorf School provides developmentally attuned content that nourishes the healthy growth of the child. Mathematics, languages, literature & history, science & geography, music, handwork, gardening, and woodwork are subjects students learn about through an experiential approach. Through each experience in the Waldorf classroom, students cultivate and expand their intellectual, emotional, physical and spiritual capacities. These capacities lead them to become individuals who are rooted in their strengths while remaining open and curious to the infinite possibilities of this life. In Waldorf education, the teacher progresses with a given group of students from first to eighth grade. Every morning teachers greet students with a handshake and make eye contact before the students enter the classroom in order to establish a connection each new day. By carrying a class through the grades, class teachers look back on all of his or her students’ previous learning experiences and build step by step on this foundation to endow his or her teaching with real unity. Primary school age children, who are very sensitive to readjustments and changes, are given the security of knowing one personality and method intimately and thoroughly. The need for an effective, truly human education has never been greater than it is today. Our times call for individuals who can recognize needs and bring right initiatives to the world. To achieve this, children need schools in which childhood is appreciated and allowed to unfold, and where capacities of imagination and intelligence, of courage and fortitude, of practicality and skill are gradually awakened, nurtured, and strengthened.